Evergreen Lane Farm is proud to announce that we have finally finished the greenhouse. Inside there are four 100 foot troughs connected to two 1500 gallon fish tanks. The first two troughs are filled with water, to get the Eco system off to a running start. We have begun to grow the first batch of lettuce. They have been doing very well; growing fast, just in the first two weeks of being in the water and making great progress. We will make sure to keep everyone updated as to when the lettuce will be available for purchase. 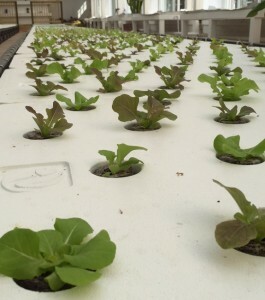 In other news, as of last week Evergreen Lane farm is excited to be officially USDA Organically certified making our farm one of the only organic aquaponic farms in the nation.